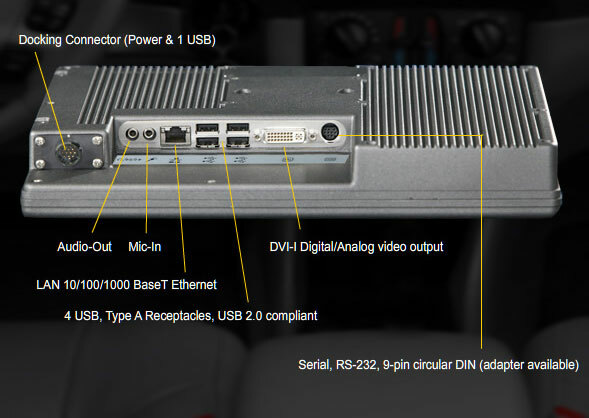 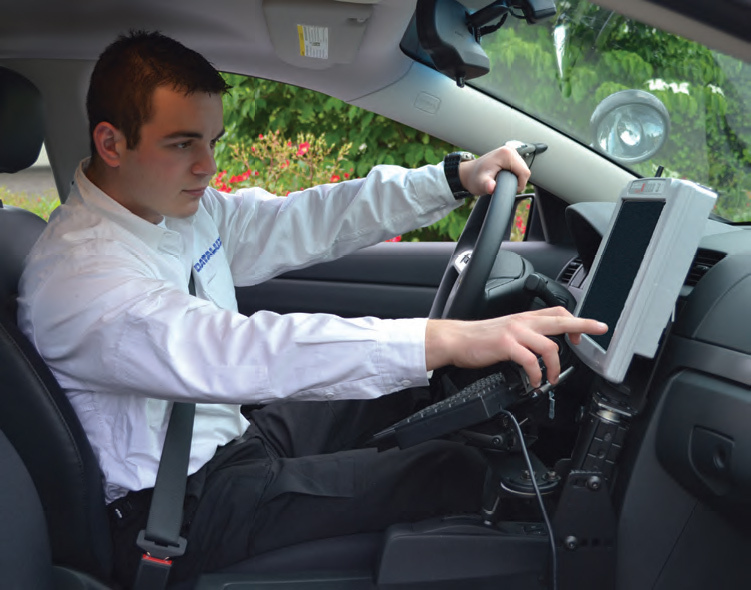 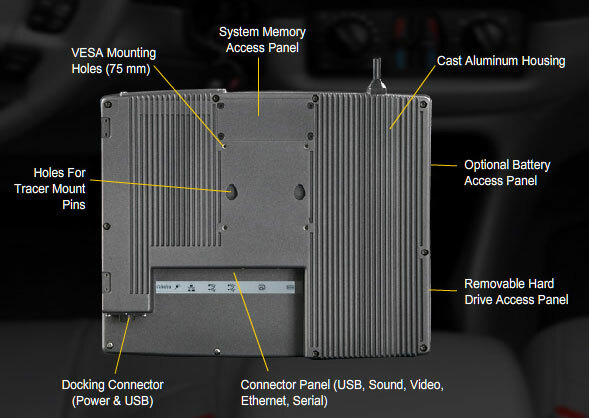 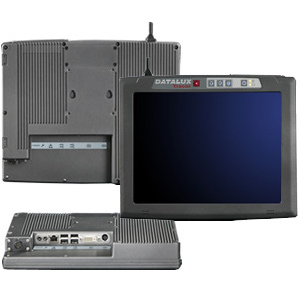 The Datalux Tracer is the most compact integrated 12.1 inch all-in-one unit for public safety on the market today. 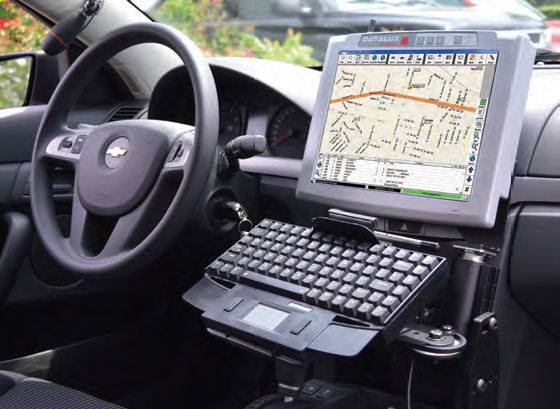 This rugged computer system was designed from inception to meet the needs of public safety professionals and the environments they face every day. 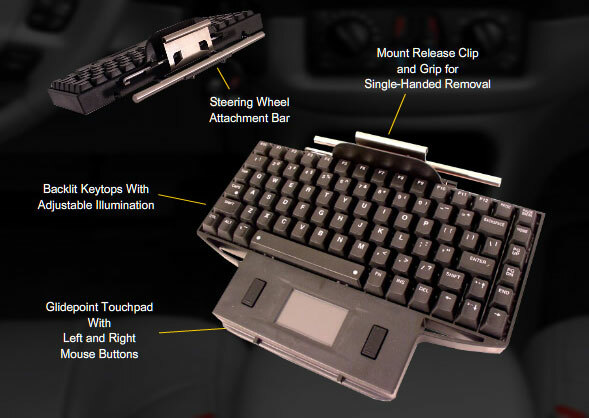 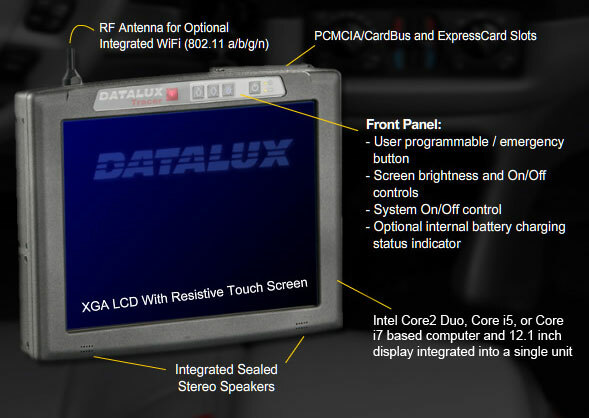 The Datalux Tracer features an Intel Core™ i5 or Core i7 mobile processor and a 12.1 inch, XGA touchscreen that is viewable both in direct sunlight and easily dimmable for nighttime use.